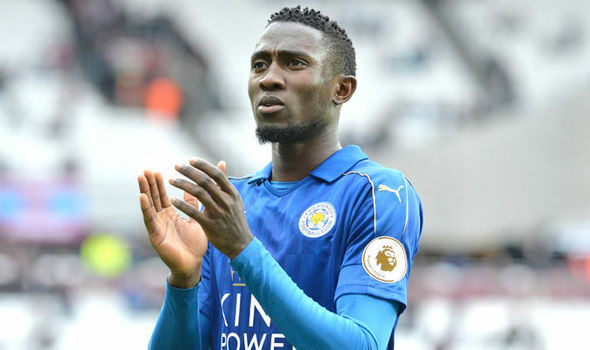 Oyinye Wilfred Ndidi, the lanky 21- year old Leicester City midfielder, holds the key to super Eagles success at the 2018 World Cup in Russia. The player joined the 2016 EPL Champions in the winter of 2017 and halted their slide into relegation just few months after tearing form books to win the title, a very unlikely event that took place from a turnaround after losing 5-2 at home to Arsenal. The rest of the season saw the club concede less goals based on defensive solidity wrought by their Italian coach Claudio Ranieri. The defense was marshaled by Jamaican International Wes Morgan, a Manchester United reject. Ironically, most of the players in that title winning squad were rejected by more illustrious clubs. That is a story for another day. However, hardly had the euphoria of that unlikely victory died down than the team started stuttering towards relegation. Some pundits attributed it to the sale of their workaholic midfielder Ngolo Kante- who is reputed to cover almost every blade of grass on the pitch- to Chelsea while others laid the blame on the doorstep of senior players who resented the transfer dealings of the following summer with the purchase of the likes of Ahmed Musa and their humongous wages. Ranieri got the boot and replaced by his assistant, Craig Shakespeare who brought an instant turnaround. It also slightly coincided with the January transfer of Ndidi who joined from modest Belgian side, Genk. Ndidi brought back the steel in the midfield since the departure of Kante and ended the rot of losing winnable matches and saved Leicester blushes of becoming the first side to win the title and get relegated the following season. The midfielder incredibly slotted into the first team seamlessly and has been a bedrock for the team till date. A recent survey showed that Ndidi has had the best interceptions in the EPL in the 2017/2018 season. The former Nigeria’s U-17 player also got the attention of the senior national team handlers and was invited for the Super Eagles and made his official senior international debut against Zambia in the 2018 World Cup qualifier against the Chipolopo of Zambia. He played as the right back in that match. He had earlier featured for the team in two friendly matches against DR Congo and Cameroon. Ndidi, who cut his football teeth with Nath Boys of Lagos, is a utility player and can play in almost all the back position and central midfield. Records show that he started his football career as a striker/forward. Then to the central defense. Today, Ndidi is regarded as one of the best midfielders in the EPL based on his interventions for his team. He has done so well that Liverpool are now sniffing around him in a deal suggested to be worth over 50m pounds. This is just a little over two years after his transfer fee cost 17m pounds. If he continues in this form, bigger clubs will surely come for him. Hopefully he is injury free and dictates the pace during the World Cup. The former Genk man, who had it rough in his early sojourn in Belgium has now settled for a midfield role both at Leicester and Nigeria’s Super Eagles. Though the German coach, Gernot Rohr has brought in tactical discipline to the team it is believed that the rough edges still need to be sorted out. And the major area is the midfield where aging John Mikel Obi holds sway. A solid midfield will ensure that the defense is not often badly exposed while also giving defense splitting passes to the attackers. A look at the performance of the team under the German shows last minute loss of concentration exemplified by last minute equalizers away to Cameroun and Algeria through conceding avoidable penalties. Ndidi will hopefully combine with Mikel, who should be slightly upward, Ogenyi Onazi/Oghenekaro Etebo in the midfield to tame that monster in Lionel Messi in the last Group D match of the world Cup. As for the goalkeeper, Rohr has almost given the hint that rookie Francis Uzoho will man the post in the absence of towering Carl Ikeme. European coaches like tall goalkeepers, which effectively rules out Ikechukwu Ezenwa while Daniel Akpeyi inspires little confidence these days- remember his howler against Argentina? Uzoho was on for the second half in that friendly against Argentina and showed class with his composure, great footwork and fine reflexes. Other matches lined up are: against England in Wembley and DR Congo in Uyo before they jet out to Putin’s Russia. By then those who deserve to be there would have been able to prove it for all to see. Nigeria will be taking on Croatia, Iceland and Argentina in Group D of the world cup and must be fully prepared to survive the group as Nigeria is the lowest ranked team.